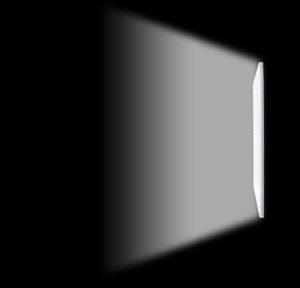 LitePad™ is a slim profile, LED light source that delivers soft, even illumination. Because of its thin profile (only 1/3") and lightweight design, Litepad is ideally suited use in locations where larger conventional luminaries simply cannot fit. Litepad is an exciting new approach to lighting, utilizing sustainable, energy effecient LED technology. 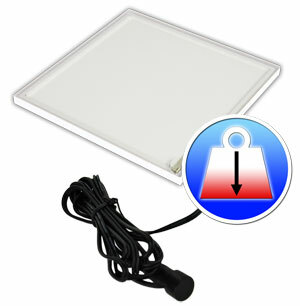 LitePad so popular among lighting professionals. LitePad DL was designed with event planners, theatrical lighting and architectural designers in mind, offering a more economical option for those applications where the increased brightness of LitePad HO+ is not necessary. 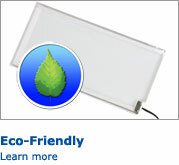 Drawing only a few watts of power, LitePad DL is an eco-friendly alternative to conventional light sources. Available in six standard sizes and custom sizes. 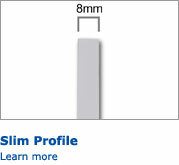 LitePad is only one third of an inch (8mm) thick, making it one of the thinnest light fixtures in the world. 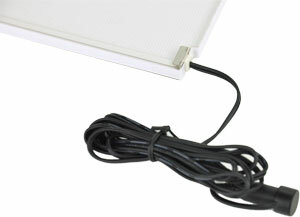 Its slim profile allows the LitePad to be placed and even hidden in places conventional light fixture could not fit. No thicker than a pad of paper, LitePads can easily fit into a back pack or messenger bag for easy transportation. 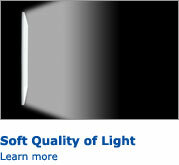 One of LitePad's most important attributes is the quality of light it produces. 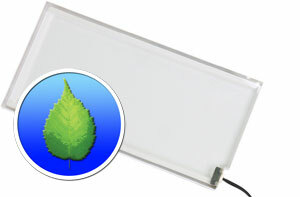 LitePad outputs a soft, even illumination. Perfect for filling in shadows, creating "beauty" light, or to mimic a practical light in the scene. 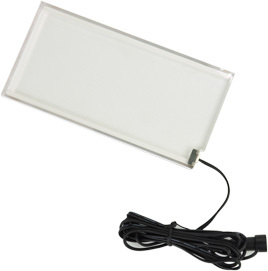 Because LitePad is an LED light source it generates virtually no heat. 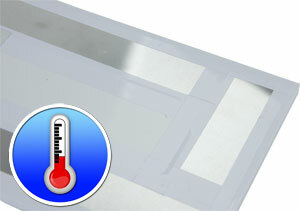 In the center of the LitePad, the unit is cool to the touch. The edges, where the LED are located, is only slightly warm. This means that LitePads can be left on all day, even in a small set, without making a room uncomfortable for performers, models or techs. Weighing significantly less than a convention light source, LitePads are capable of being mounted in many different ways and places. Whether it be Rosco's mounting brackets, Velcro, or even rubber bands, LitePad's low weight makes it incredibly easy to mount and makes carrying a few of them around a breeze. With each LED only consuming a quarter of a watt, LitePad is an extremely energy efficient light source. Because LitePad DL contains fewer LEDs, it consumes almost 40% less energy than it's LitePad HO+ counterpart. While this does mean than LitePad DL is slightly dimmer than LitePad HO+, it still provides an outstanding quality of light.or techs. 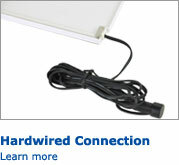 LitePad DL is equipped with a power cord attached directly to the unit. This traditional thin, black power cord provides safe, secure and readily available power access.